While the leaders of most of the opposition parties were grim-faced Sunday night, the Japanese Communist Party was celebrating after it more than doubled its seats in the Lower House. The party now has 21 lawmakers in the chamber, up from eight before Prime Minister Shinzo Abe on Nov. 21 called a snap general election that his Liberal Democratic Party-led coalition easily won. Following its usual practice, the JCP fielded a massive 315 candidates in the election. 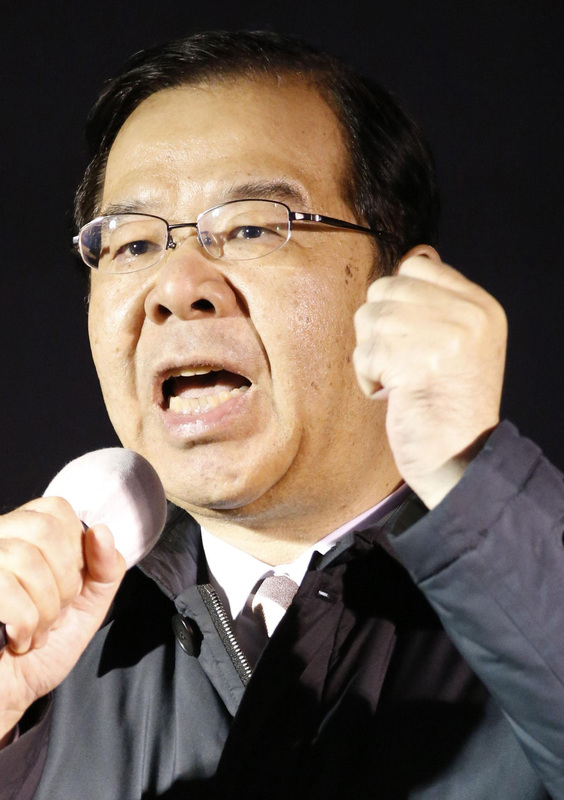 JCP chief Kazuo Shii was quick to hail the victory of Seiken Akamine in the Okinawa No. 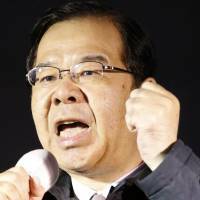 1 district, the party’s first single-seat constituency victory in 18 years. The party was expecting to win even more seats via proportional representation, he told reporters in Tokyo. The jump was widely credited to swing voters fed up with Abe’s economic policies, which critics say only benefit big business and the wealthy, as well as his security policies, particularly his Cabinet’s decision in July to lift the ban on collective self-defense and the passage of the state secrets law. Some people may have voted for the JCP out of spite, given the dearth of viable alternatives, observers said. A similar trend was seen in 1996, when the party won 26 seats in the Lower House after voters became disillusioned with the Social Democratic Party’s decision to hop into bed with its perpetual nemesis, the LDP. Among other opposition parties, the Democratic Party of Japan remained in limbo, failing to recover from its disappointing rookie debut in power from 2009 to 2012. Its tumultuous stint in office was hobbled by failed pledges and the 2011 Great East Japan Earthquake and Fukushima nuclear catastrophe. Other parties, such as Nippon Ishin no Kai (Japan Restoration Party) and Your Party, once touted as “third force” groups ready to challenge the LDP, no longer exist. Nippon Ishin split in two earlier this year and Your Party disbanded in November. The JCP campaigned on a platform that was the polar opposite of the conservative LDP’s. Attacking Abe for widening the gap between rich and poor, it pledged to raise taxes on big corporations and the wealthy. It also vowed to abolish the second stage of the consumption tax hike, which will jack up the rate to 10 percent from 8 percent in spring 2017. On security, the JCP pledged to withdraw the Abe Cabinet’s July decision to reinterpret the war-renouncing Constitution. It is also opposed to the Trans-Pacific Partnership, the massive free trade agreement being pursued by the United States, Japan and 10 other Pacific Rim economies. In the June 2013 Tokyo Metropolitan Assembly election, the JCP more than doubled its seats to 17, up from eight. The party made similar gains in the Upper House election the following month, boosting its seats in the chamber to 11, up from six. The most seats the JCP has ever won in a Lower House election was 39, in 1979. After that, around 2000, the party began struggling and held fewer than 10 seats in the chamber.